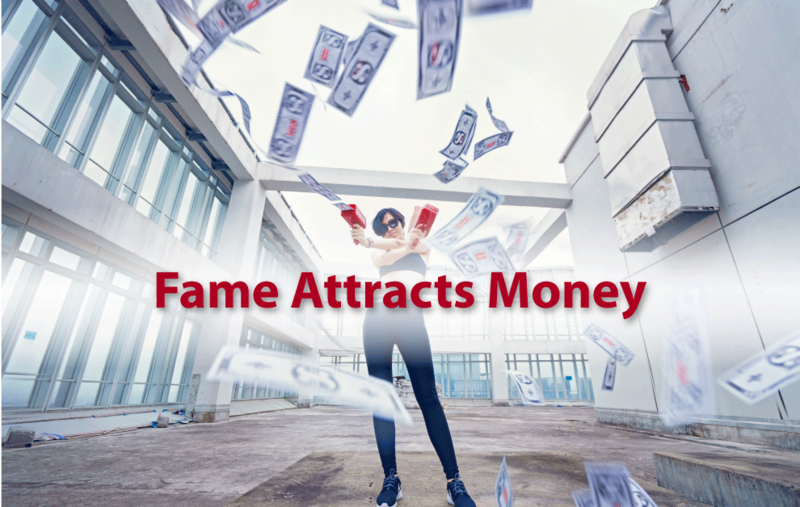 Fame attracts money. This was a quote from my coach and mentor, Ann Evanston, from one of our training calls. She went on to explain that fame and being famous wrapped around visibility. The light bulb went on for me. If you know my story, then you know that I was someone who hid behind the curtain and did not take credit for the work I had done. It was always my client, my general, my co-worker, or my team. who should get the credit for the work that was done especially if it was outrageously successful. I was also the one who took the blame if the project or work went south. Truly, I hid my leadership and my talent under a basket. When I think about that I think of a garden. If I planted a beautiful flowering bush like a hydrangea and then put a basket or barrel over it, what to you think the result would be? Would it grow and flourish with those absolutely gorgeous blossoms or would it wither and die because it had no sunlight and no nourishment? I was not taking my work out into the sunshine. My business was withering and dying with no one knowing it even existed. That is not what I wanted. I wanted a practice that flourished with heart-based clients eager to be groomed and mentored in leadership. I don’t do radio and TV, much less telesummits, teleseminars or podcasts. I won’t write a book. I definitely don’t do social media! I had a huge vision which I have talked about in my blogs. Yet, if I am not visible, this vision will not happen. I needed to be massively visible. I had to update my vision of me as a leadership expert. Part 2 of this blog will give you some of the ways I have begun to be more visible and the goals for 2016. Stay tuned. Linda Patten is a Leadership Trainer for women entrepreneurs and change-makers, her vision for every woman is to become the natural leader she is meant to be, through teaching an empowering mindset, masculine AND feminine leadership skills, and how to activate a vision into a full-bodied business or social change movement. Let’s explore some ideas together! Schedule a chat with me today. Explore more about leadership today on Leadership Stars.